Anna’s Secret Legacy to do two book signings on the opening day of SXSW Film Festival March 11th! This entry was posted in Amazon, Anna's Secret Legacy, Anna's Secret Legacy Blog, Annas secret legacy novel, Banks, Barnes & Noble, Book Blog, Book Signing, Gold, Love Affair, Pilots, Pressroom and events, Scientific Discovery, spies, Travel, World War II. Bookmark the permalink. 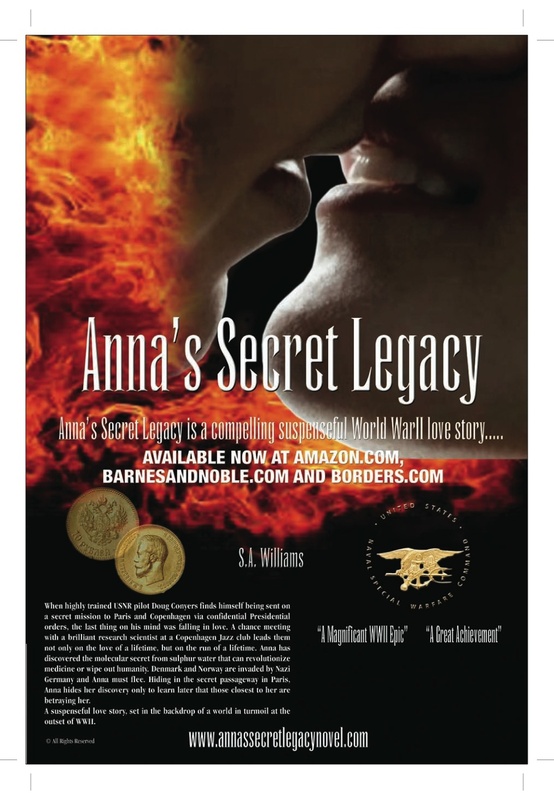 ← Explosive new heart wrenching WWII love story Anna’s Secret Legacy is a stunning debut from Author S.A Williams, laced with riveting twists and turns, echoing the very real threats of today’s world.